Blogging for Children as an extracurricular activity. A couple of hours ago, I happen to read a PLR article on the topic of introducing blogging to the children. The piece was pure garbage. However, it gave me a blogging topic and here I am, thinking aloud. 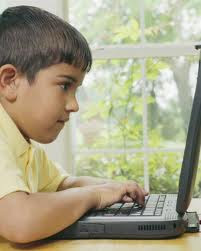 I think it is about time that children are taught the art of blogging. Starting them young would enhance their worldly knowledge, introduce them to new technology and they would learn to get along with children as well as adults from various nations. Children’s writing skill would vastly improve. This move might bring forth future geniuses in the world of new blogging platforms, web designs and Internet marketing. Already they are used to social networking sites. Why not make them spend their time usefully? By the time children complete their school final, they world enter the world of Internet for some purpose or other. Getting to know to search and compile information quickly using search engines would become a mandatory qualification. I am sure bloggers would very soon become adept at this technique. It goes without saying; the creativity can be kindled on children. They would learn to offer their feedback on comment forms which would encourage the author of the blog to write better to attract more comments. Would educationists consider including blogging as an extracurricular activity?